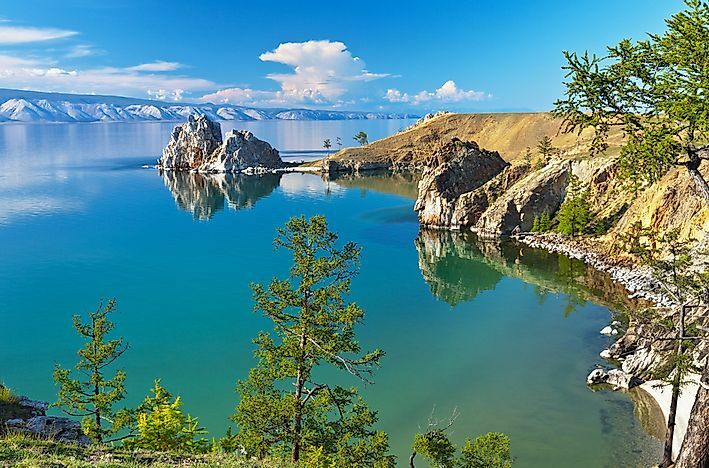 Lake Baikal is the largest lake in Asia. Lake Baikal, in Russia, is the largest lake in Asia. 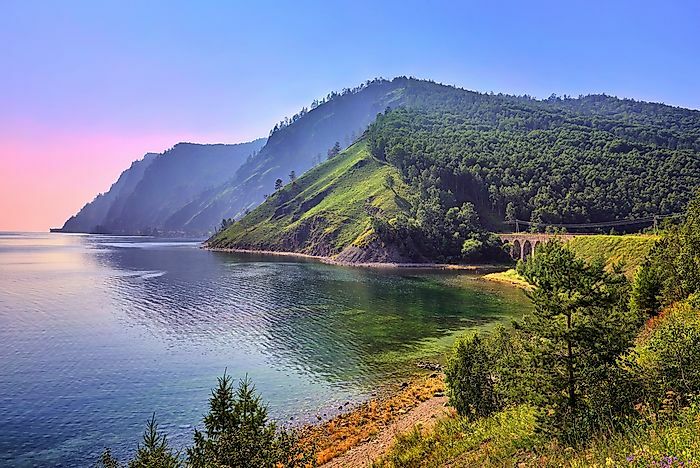 Lake Baikal is a Russian rift lake and the world’s biggest freshwater lake by volume. The lake is located in the southern part of Siberia. The lake holds nearly 22 to 23% of the freshwater resources of the planet. The lake is also the largest lake in Asia and the deepest one in the world. The lake has a surface area of 31,722 square km, a volume of 23,615.39 cubic km, and a maximum depth of 5,387 ft. The lake is a UNESCO World Heritage Site and hosts a great variety of flora and fauna including several species of endemics. With a surface area of 68,800 square km, Lake Victoria is the biggest lake in Africa. The lake also holds the title of being the largest tropical lake in the world and is also our planet’s second biggest freshwater lake. Thousands of small streams and rivers, as well as rainfall, feeds the lake. The Nile River is the only river draining Lake Victoria. The average depth of the lake is 130 ft and its maximum depth is 276 ft. 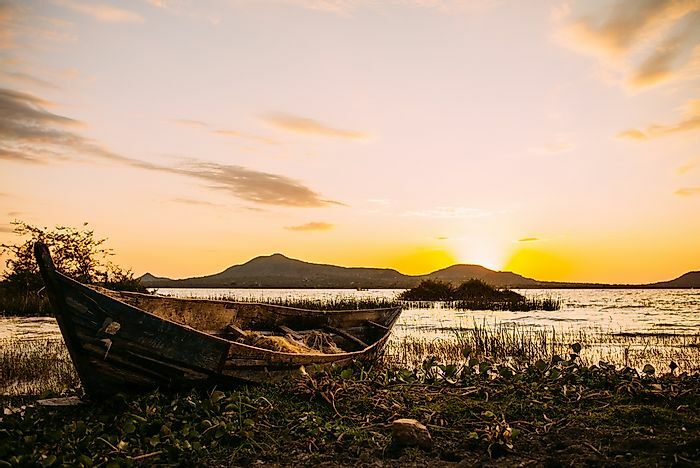 The lake is shared by the three African nations of Kenya, Uganda, and Tanzania. 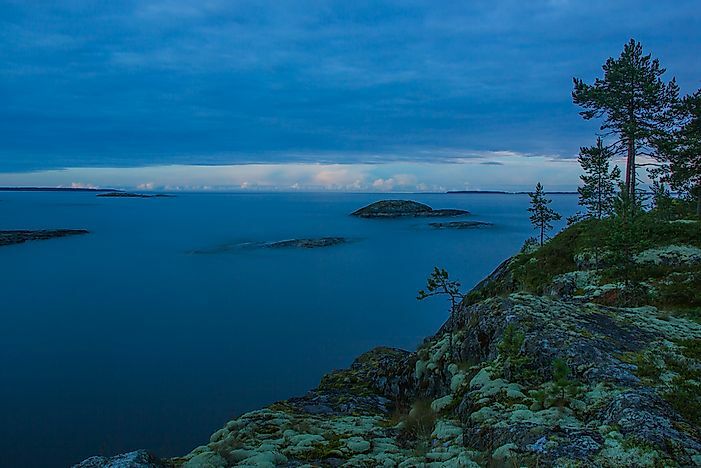 Lake Ladoga is the largest lake in Europe. It is located in northwestern Russia near the city of Saint Petersburg. The lake is the world’s 14th largest freshwater lake. The lake occupies an area of 17,891 square km and the average depth of the lake is 52 m. It hosts about 660 islands. The Neva River drains the lake and then flows into the Gulf of Finland. The lake provides a habitat for a great diversity of aquatic flora and fauna including fish like ruffe, roach, European perch, etc. The endangered European sea sturgeon also inhabits the lake. The combined waters of the Lake Michigan and Lake Huron is sometimes regarded as one single body of water. The fact that the lakes are connected to each other via the Straits of Mackinac and their water levels are in near-equilibrium allows the classification of these lakes as one single entity. 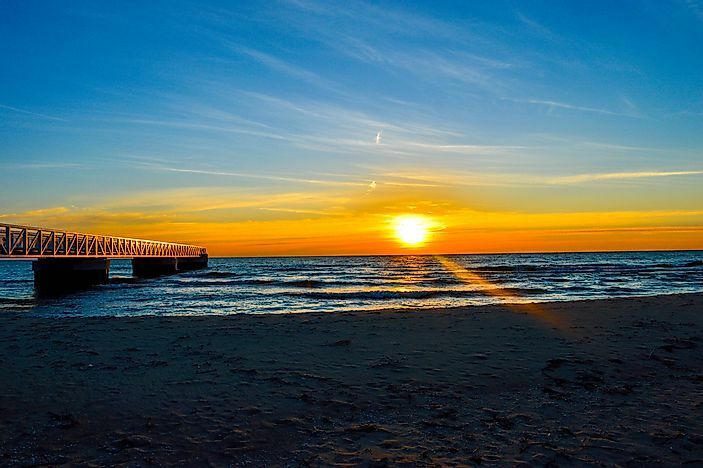 In this case, the Lake Michigan-Huron is the largest lake in North America. It occupies an area of 117,300 square km and the waters are shared by Canada and the US. However, if the lakes are treated as separate lakes, then Lake Superior replaces the position as North America’s biggest lake. Lake Superior occupies a surface area of 117,300 square km. Lake Titicaca is the largest lake in South America and has a surface area of about 8,372 square km. 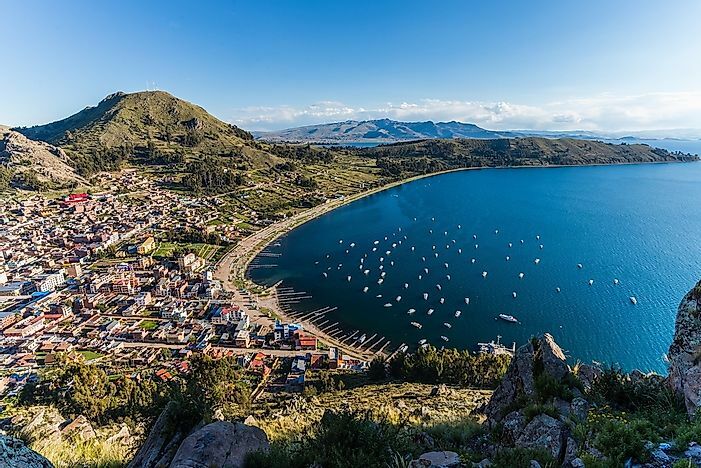 The average depth of the lake is 351 ft and its maximum depth is 922 ft. Lake Titicaca is often regarded as the world’s highest lake that is navigable. It is located at an altitude of 12,507 ft. Lake Titicaca is located high in the Andes mountain on the border between Bolivia and Peru. The waters of the lake are shared by the La Paz Department of Bolivia and the Peruvian Puno Region. 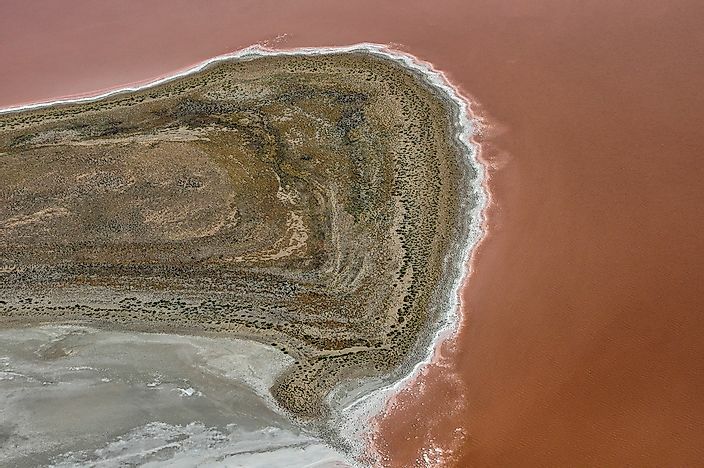 Lake Eyre is the largest lake in Oceania and also has the lowest elevation point in Australia. The lake occupies an area of 9,500 square km. The endorheic lake is quite shallow with an average depth of only 5 ft. The volume of the lake varies considerably throughout the year and so does the salinity level of its waters. Lake Eyre is named after the first European who discovered it, Edward John Eyre. The largest lake in Antarctica, Lake Vostok is a subglacial lake that is located beneath the Vostok Station of Russia and is covered by the East Antarctic Ice Sheet. The ice sheet is 11,444 ft above sea level while the lake lies about 13,100 ft below the ice surface. Lake Vostok occupies an area of 12,500 square km and its average depth is 1,417 ft. The presence of the lake was first suggested by Andrey Kapitsa, a Russian geographer. Its presence was confirmed in 1993.